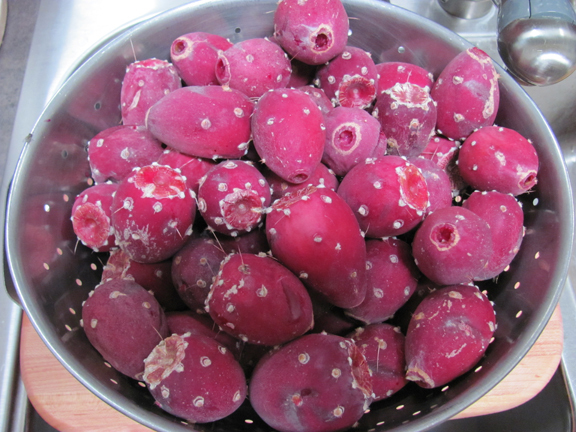 Tis’ the season to pick-a peck-of-prickly-pears (fruits)! The end of October and into November is when they are plump and prime! So, we spent two weekends (carefully) picking, plucking and processing our colorful crop. Not a particularly painless process, as you have to beware the pricklies. 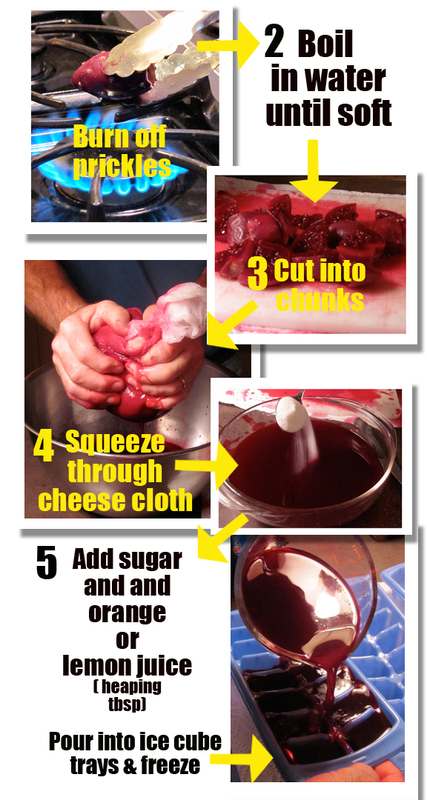 Plus the squeezing is a bit tedious….but it is worth it! 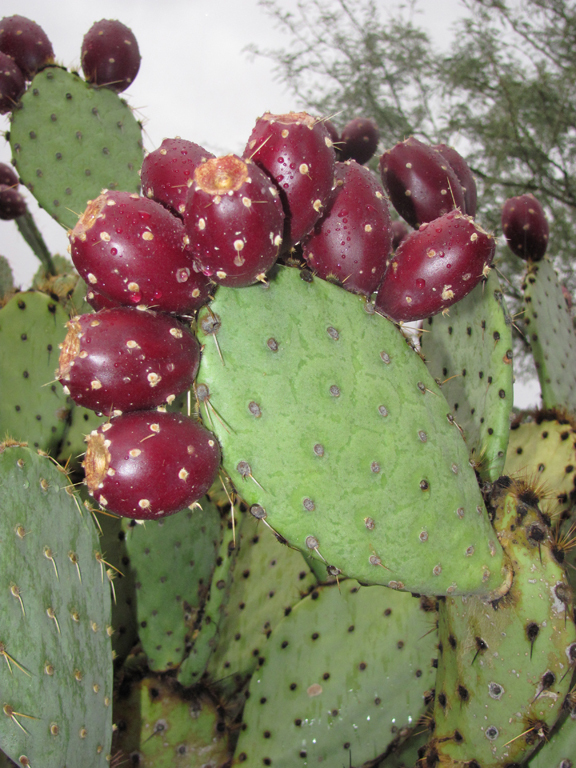 Although, some may be asking why?…..
Prickly pear juice is packed with nutrients: Prickly Pears are low in Saturated Fat, and very low in Cholesterol and Sodium. They’re also a good source of Calcium and Potassium, and a very good source of Dietary Fiber, Vitamin C and Magnesium. Plus it adds color and flare to various goodies such as pies, jams, jellies, fruit salads, fruit smoothies… just about anything with fruit! 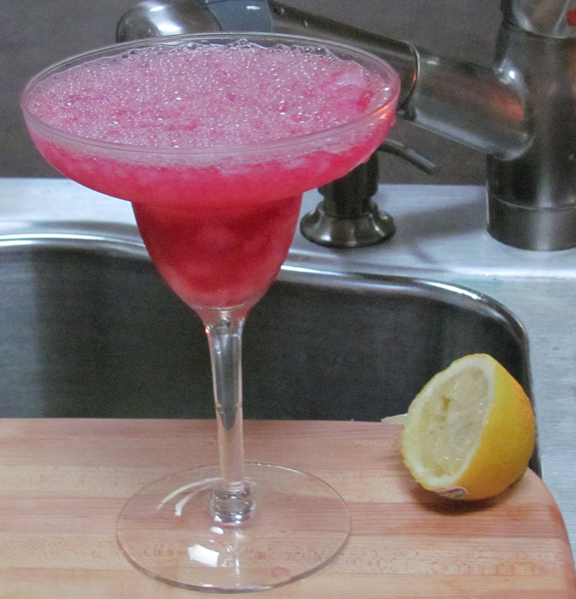 And of course…..Todd’s famous prickly pear margarita…. 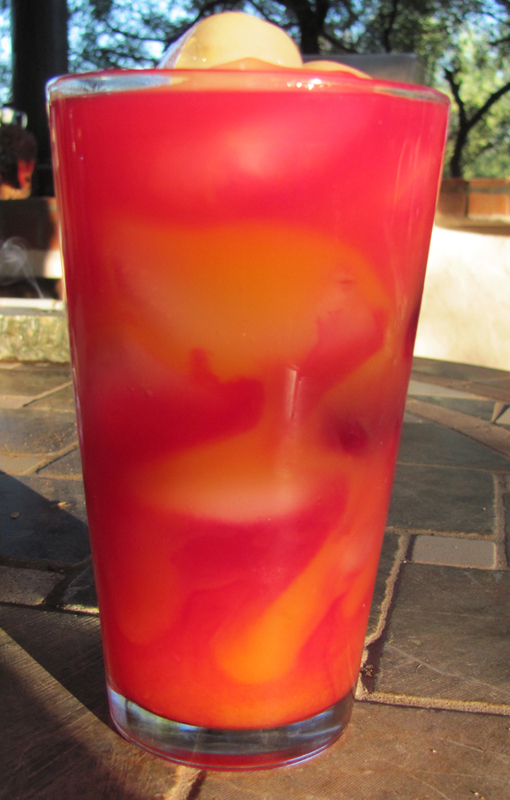 Mango juice and orange juice over ice (with 2 prickly pear cubes) and a liberal ‘splash’ of vodka! Or….The TBY Sunrise…. (same recipe minus the vodka)….or not! Not only is it really yummy and nutritious (-vodka), but it is also a drinkable work of art! Watching the brilliant magenta prickly pear cubes melting in the orange/mango juice is like watching a colorful watercolor unfold before your eyes! Even better + vodka! Looks wonderful! Wish I was there. Hey, you guys. I’m in UMC hospital, but should be released in a coule of days. Then will tell you all about it. Your postings bring happiness to our days! Thanks, Jim. Jim… Sorry to hear that you’ve been having some problems. Hope everything is ok and you are feeling better! I’m glad you are enjoying the blog! We are looking forward to seeing you guys soon! Hope you can join us for our neighborhood drink ‘n’ think tank on Friday late afternoons…. (Or any late afternoon)! Take care!